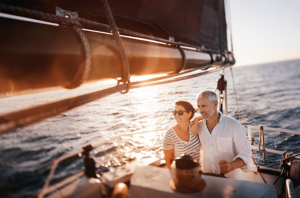 Boat Insurance | Rehoboth Beach, DE | Wilmington, DE | Williams Insurance Agency, Inc.
Boating is a big part of the lifestyle for many residents of Delaware and the Mid-Atlantic region. From fishing, water skiing, or just a relaxing day on an inland lake or river to exploring the blue waters of the Atlantic Coast, we love our boats. The insurance professionals at the Williams Insurance Agency, Inc. with offices in Rehoboth Beach, DE, and Wilmington, DE, have been insuring Delaware boat owners since 1948. Many of our agents enjoy the outdoors and spending time on the water. We have the experience and knowledge to assist boat owners with all their boat insurance needs. Whether you own a small or large power boat, a fully equipped fishing boat, a high-performance ski boat, a jet ski or personal watercraft, or a luxury yacht, even the most ideal day on the water can be subject to hazards and problems on inland waters or the ocean. Many homeowner insurance policies offer limited, if any, coverage for your boat. Let our agents make sure you have adequate boat insurance coverage for your boat whether it’s on the water, on the road, or in storage. Along with replacement cost coverage for your boat itself, you also will need coverage for the motor and trailer. If you use your boat for fishing, waterskiing, or just pleasure boating, you need coverage for all the extra equipment such as fishing tackle, anchors, canopies, lights, life jackets, navigation gear, fish finders and other electronic devices, and other boat accessories in the event these items are lost or stolen. And if you own a personal watercraft from Sea-Doo, Yamaha, WaveRunner, Kawasaki, Honda, or another manufacturer, we can help you get the proper boat insurance for these specialized watercraft. While we associate boating and related on-the-water activities with pleasure and enjoyment, there are plenty of dangers to contend with as well. From weather threats to navigational hazards, boating always presents a certain amount of risk and accidents can happen. The Williams Insurance Agency can help you make sure you have the proper liability insurance to protect your boat and passengers in the event of an accident to cover medical costs in the event anyone is injured on your boat and any resulting property damages. Contact our Rehoboth Beach office at 302-227-2501, or our Wilmington, DE, office at 302-239-5500 to discuss your personal boat insurance needs. Because the Williams Insurance Agency, Inc. is an independent agency, we work with the best boat insurance carriers in the country and can obtain great boat insurance coverage at a great price.